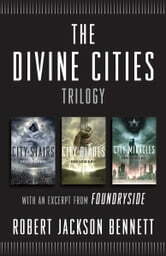 In a world where terrifying, capricious gods once walked the earth, enslaving and brutalizing millions, three unforgettable protagonists struggle to come to terms with the mysteries these divinities left behind— and to make sure these cruel masters do not rise again. In City of Stairs, an unassuming young woman named Shara Thivani arrives in Bulikov, the city that once wielded the powers of the gods to conquer the world. Officially, she is just another junior diplomat, dispatched by the city’s new colonial masters; unofficially, she is one of her country’s most accomplished spies, on a mission to solve a murder. As she pursues the killer, she begins to suspect that the gods who once guarded Bulikov are not as dead as they seem, and that the city’s cruel reign may begin anew. In City of Blades, General Turin Mulaghesh—foul-mouthed hero of the battle of Bulikov, rumored war criminal, ally of an embattled prime minister—is pressed into service one last time, investigating a terrifying discovery in the city of Voortyashtan, once the stronghold of the god of war and death. 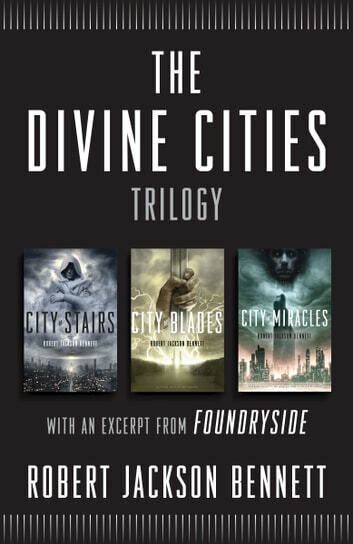 Voortyashtan’s god is most certainly dead, but something is awakening in the city. And someone is determined to make the world tremble at the city’s awful power once again. In City of Miracles, the formidable, seemingly unkillable Sigrud je Harkvaldsson returns from self-imposed exile on a mission of revenge, only to find himself embroiled in a battle that may be beyond even his abilities to win—a secret, decades-long war that will force him to confront the last mysteries of Bulikov, the city of miracles itself. Each book in the trilogy has a different main character and it's quite amazing how Bennett makes you care about each one.